Dec 25 It's the Daily Otter's Christmas 2017 Mega-Post! 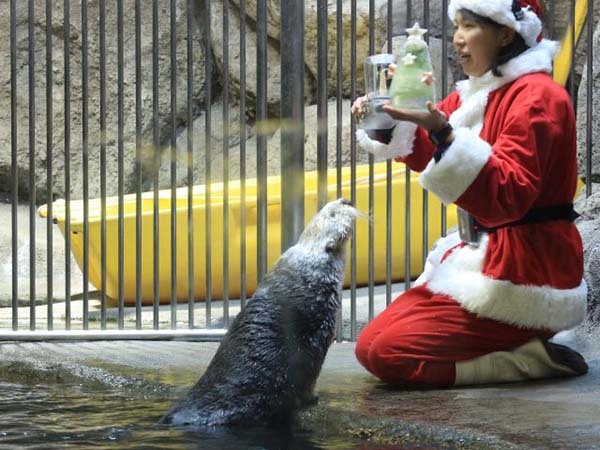 Building a snowman for the sea otters during the Holiday Treats for the Animals festivities at the Aquarium of the Pacific has been a tradition for the husbandry staff since the early years of the facility. 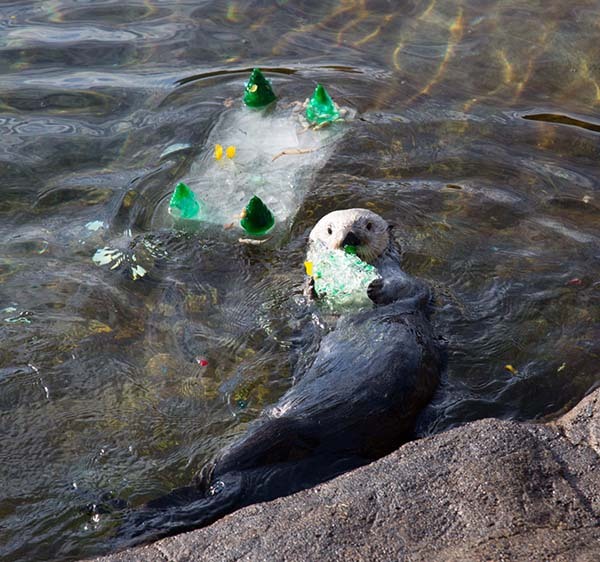 The past few years however, a new tradition has been added by the sea otters themselves. More specifically one sea otter in particular has added her own twist to the day’s holiday fun. Ollie the sea otter has taken it upon herself that at the end of the treats she will ceremoniously destroy the snowman made for her by the staff. It’s just Ollie being Ollie.